Proper transmission of light in the windows of motor vehicles is the unquestioned basis of road safety. 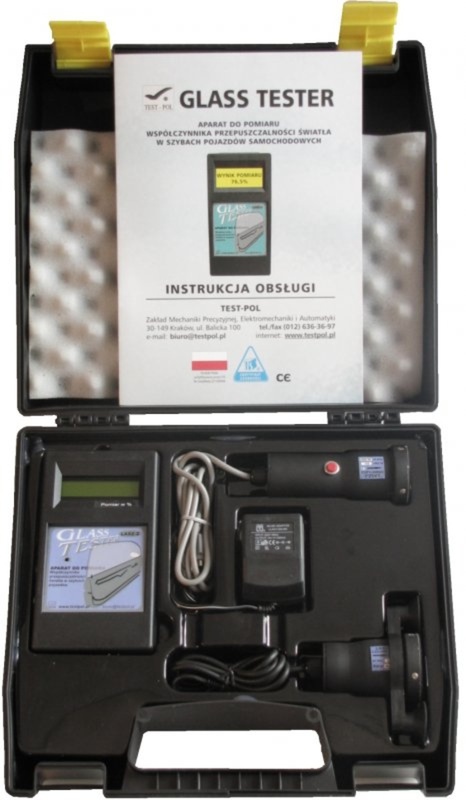 Developed and manufactured by our company Electronic Tester Glass camera sandbar type-4 is a measuring instrument for fast accurate assessment of glass in motor vehicles. Microprocessor apparatus sandbar type-4 is designed to measure light transmission factor is the ratio of luminous flux passing through the glass to the value of the flux incident on it in the windows of vehicles. The device allows measurements in a diagnostic station, and in the open at night and day. To operate the device type-4 sandbar just one person. The construction of the instrument.